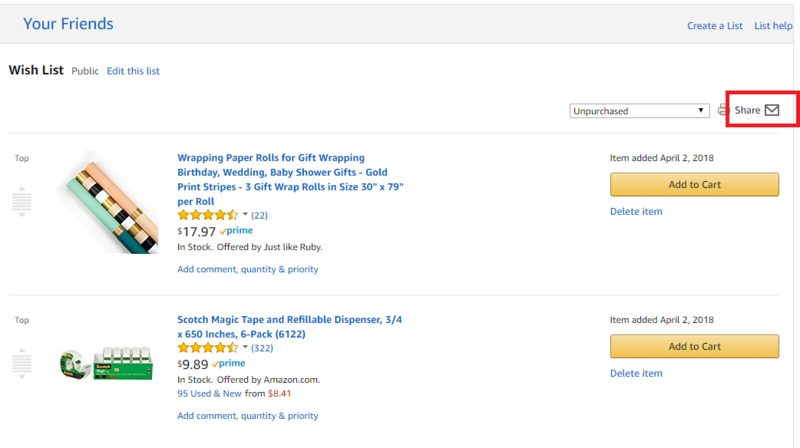 How do I find my Amazon Wish List URL? 1. 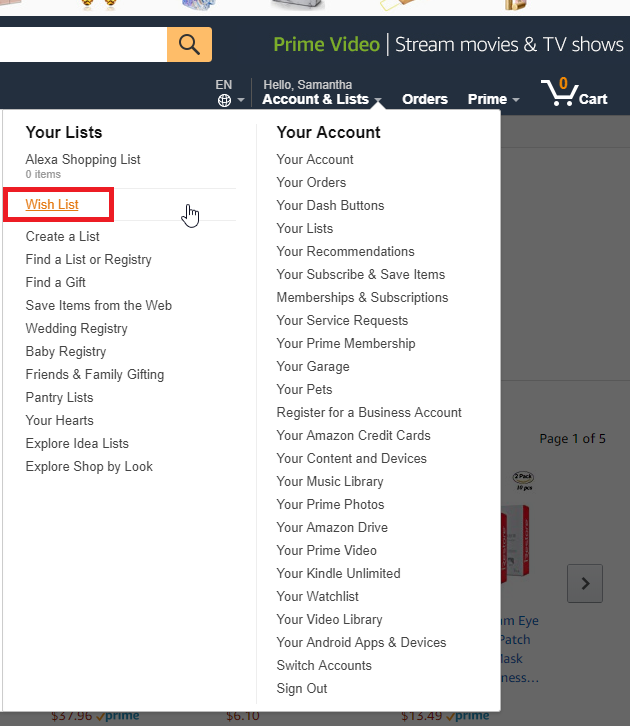 Log in to your Amazon.com account and find the Wish List option located under the "Account & Lists" tab. 2. 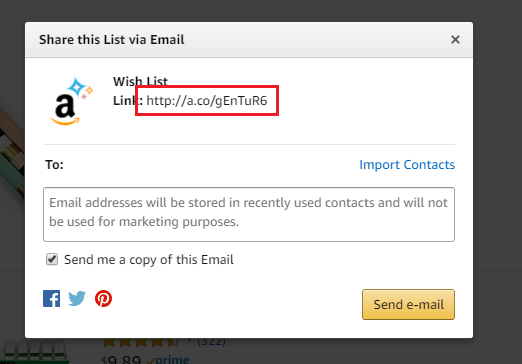 Click the Share link at the top of your wish list page. 3. Copy the Wish List Link shown into your Punchbowl event.